Vertiv™ thermal management systems are designed to support your critical operating systems in a 7x24 world. When you purchased a Vertiv™ Thermal Management System including the Liebert brand, you made a decision to protect the data and processing systems that run your business, with the best continuous duty cooling systems in the industry. But even the best made HVAC systems in the industry need ongoing preventive maintenance to ensure the systems they protect are operating at their highest reliability levels. Whether you need ongoing comprehensive support, maintenance, or only annual inspections, why not let DVL’s expert services group structure a program that works for your company. 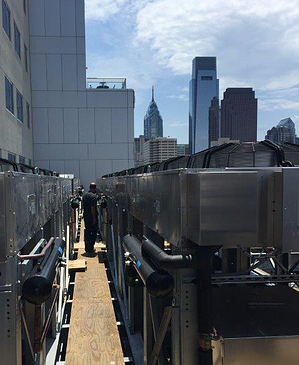 DVL, Vertiv’s official local representative in Eastern and Central Pennsylvania, Southern New Jersey, Delaware, Colorado, Southern Wyoming, and New Mexico, can maintain and service your Vertiv Thermal Systems. We will work with your in-house IT and Facilities group to determine the most cost-effective preventative maintenance, parts, and service contract programs that will keep your systems up and running. Our job is to find the optimal solutions for your business, and meet the ever-changing demands that you face in a 7x24x365 business world. 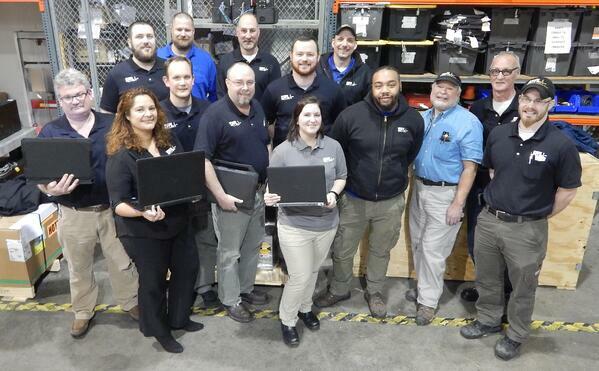 With over 30 years in the business, no one knows the integral workings of critical support equipment better than our Vertiv factory trained and certified service technicians. By choosing DVL, you get the assurance that a fully trained technician shows up in a full stocked truck, ensuring a better than average chance of a first time fix without a return visit. Parts warehouses in Bristol, PA, Harrisburg, PA, and Denver, CO.
Emergencies: If you have an HVAC emergency, please call 1-866-DVL-HVAC.